Come to the seaside and meet sassy Stella! She’s just moved from buzzy London to the sleepy beach town of Portbay. She’s kissed goodbye to her best mate, Frankie, and the only guy she’s ever liked. Now it’s time to say hello to a whole new life! The beaches and wide skies of the seaside are a world away from the excitement of the city. All the same, Portbay has its own charms. They just might take a little discovering! 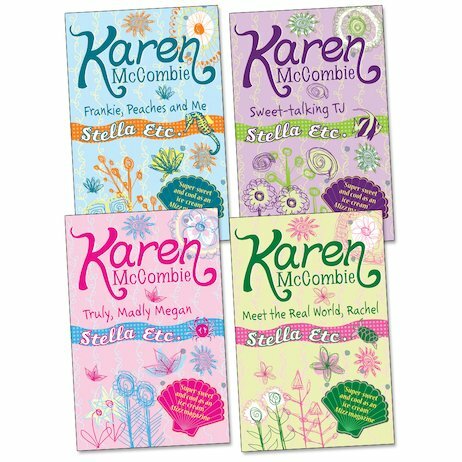 Follow Stella as she settles into her new life in the first four books from Karen McCombie’s sparkly, summery, totally scrumptious series.